If you'd like to brush up on your technology skills, how about signing up for a free class on navigating the Internet? 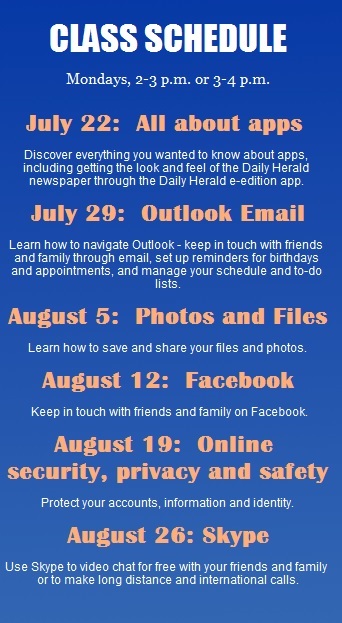 The Daily Herald is partnering with the Microsoft store at Woodfield Mall to offer seven-day subscribers instruction on Skype, Facebook, Outlook and other topics. 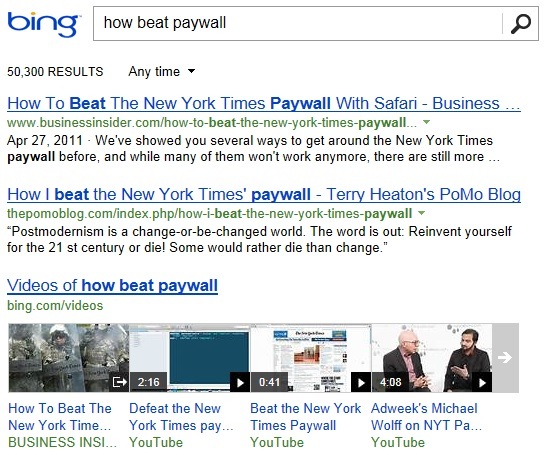 Your LakeCountyEye is always eager to brush up on the technology skills, particularly when it comes to navigating the Internet. 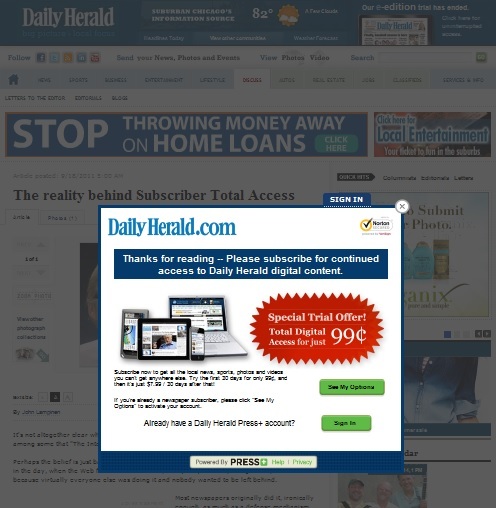 The Daily Herald workshops, however, do not seem to include a course on how to beat an Internet paywall. Maybe that one is sold-out already.